In every state in America, there are families still waiting for their children to come home. 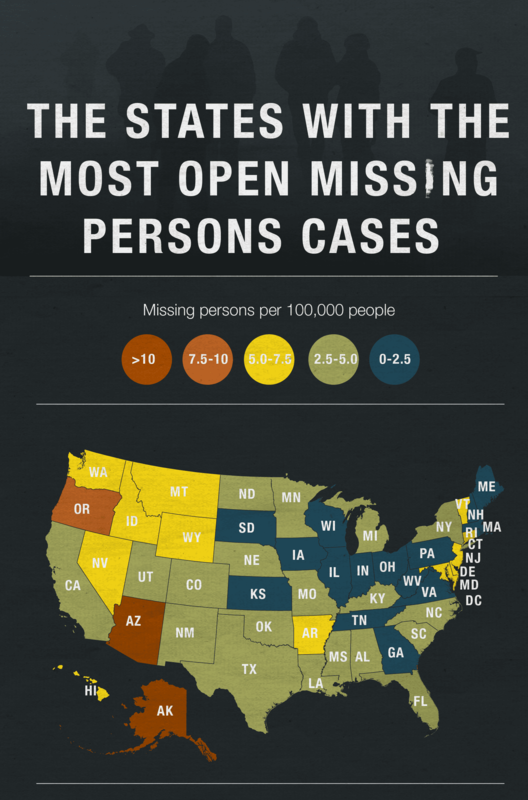 Analysis of state by state data from the Federal Bureau of Investigation estimates at any given time in the U.S., there are an average of 90,000 open missing persons cases, with at least 15 states having between 5 and in excess of 10 open cases per 100,000 people. The void left by these missing persons create a ripple effect on the entire country. In a growing trend, more and more states are establishing their own Missing Persons Day to shed additional light as to the details surrounding all open missing persons cases and provide support for the families still enduring the loss of their missing loved one. A statewide Missing Persons Day has helped shine light on non-profit organizations like Help Save the Next Girl. It was founded by Gil Harrington, in honor of her daughter, Morgan, who was abducted and found murdered in 2009. The non-profit’s website offers their specific call to action, “We seek to sensitize young women and girls to predatory danger. Our foundation fosters mutual respect and camaraderie with young men, and we are committed to be an active, imaginative presence on campuses and in clubs and violence prevention forums across the country.” Foundations like Help Save the Next Girl spread awareness about the predation that often leads to both children and adults being reported missing. Another non-profit organization like Help Save the Next Girl is the Black and Missing Foundation, Inc. It was founded in 2008 by a veteran law enforcement officer and a public relations specialist, the Black and Missing Foundation’s mission statement is to, “to bring awareness to missing persons of color; provide vital resources and tools to missing person’s families and friends and to educate the minority community on personal safety.” The foundation organizes informational campaigns and public forums using a variety of media in order to reach an underserved community. The families of missing persons of color face a very specific problem in getting the name and face of their loved one out there in media for the country to see because of a phenomenon called “missing white woman syndrome.” According to NPR, “a phrase coined by Gwen Ifill, the late PBS anchor. It refers to the mainstream media’s seeming fascination with covering missing or endangered white women — like Laci Peterson or Natalee Holloway — and its seeming disinterest in cases involving missing people of color.” As a result, the names and faces of missing persons of color often tragically do not make national news, unlike the cases of Laci Peterson or Natalee Holloway. 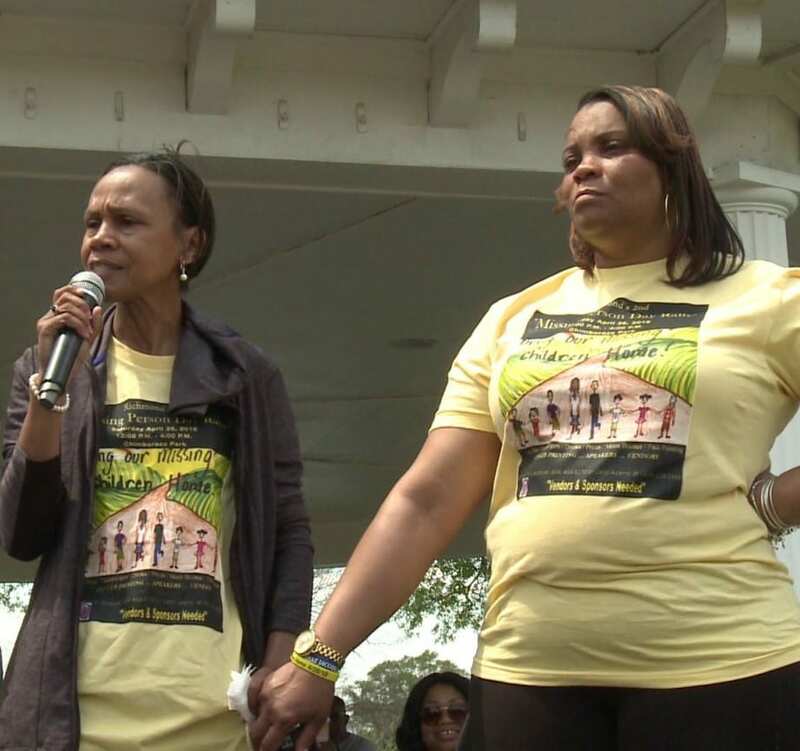 Organizations like the Black and Missing Foundation, Inc. work tirelessly to combat this issue and spread awareness about missing persons of color across the country. 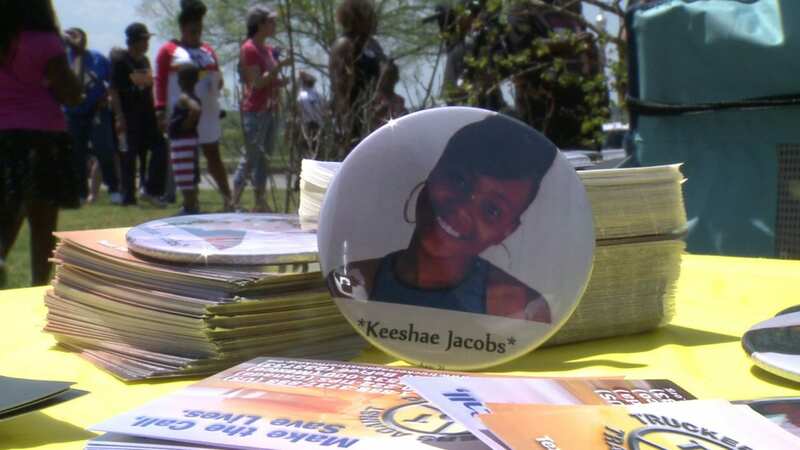 Missing Persons Day is not only an opportunity with victims’ families to network with one another, but also for families to network with law enforcement to update the open files on their missing loved ones, including updating their photograph. David Morris, an officer with the Roanoke Police Department told CBS 10, “This gives us an opportunity to talk to the individuals and their family members, update them on any case files or any information we’ve come across. Just try to provide them with any kind of closure that we can and just reaffirm that we are still investigating these cases and these cases have not gone silent.” David Morris went on to say his best advice for anyone who has a missing person in their family is to keep an open line of communication with investigators. The epidemic of missing persons in the United States has not only led to states invoking their own Missing Persons Days, but also to the creation of the National Center for Missing Adults. The center was founded as a response to the disappearance of Kristen Modafferi of Charlotte, North Carolina. Because she was not a minor at the time of her disappearance, resources in finding her were limited. Representative Sue Myrick introduced the bill in 1999, and President Bill Clinton signed it into law in 2000. During its short tenure, the law “provided assistance to law enforcement and families in missing persons cases of those over the age of 17” and authorized $1M per year to support organizations including the National Center for Missing Adults.” Funding for Kristen’s Act ran out in 2005 but continues with volunteer support. For more information on Gil Harrington’s non-profit organization, Help Save the Next Girl, please visit their website at www.helpsavethenextgirl.com/. For more information on the Black and Missing Foundation, please visit their website at www.blackandmissinginc.com/. For more information on establishing a Missing Persons Day in your state, please visit the official website of your state’s legislature.